Master KJ’s medal from the world championsihps. FAIRFIELD — For the past five years, Kwangjin Ha — or Master KJ as he’s known — has been aiming to compete at the Taekwondo Poomsae Championships. He has previously qualified through the state round and made top eight at U.S. Nationals. But when it came to the second knockout round at nationals among those eight contenders, the first place spot — the one that gets you to the world championship — eluded him. For more information on Ha’s experience in Tai Pei, visit: WCT Fairfield (Master KJ) page on Facebook. Ha not only competed at the 2018 World TaeKwonDo Poomsae Championships in Taipei in November — he came back with a bronze medal in the Team Over 30-year-old Male division with teammates Jason Guk and Johnny Nguyen, and earned a fifth-place finish in the individual category. In the Team Over 30 Male category, the U.S. Team defeated Chinese Tai Pei and lost only to Korea, which eventually won first place. The Philippines finished in second place. Ha documented his trip to Asia through social media with pictures and videos of taekwondo routines and participants of several other countries. 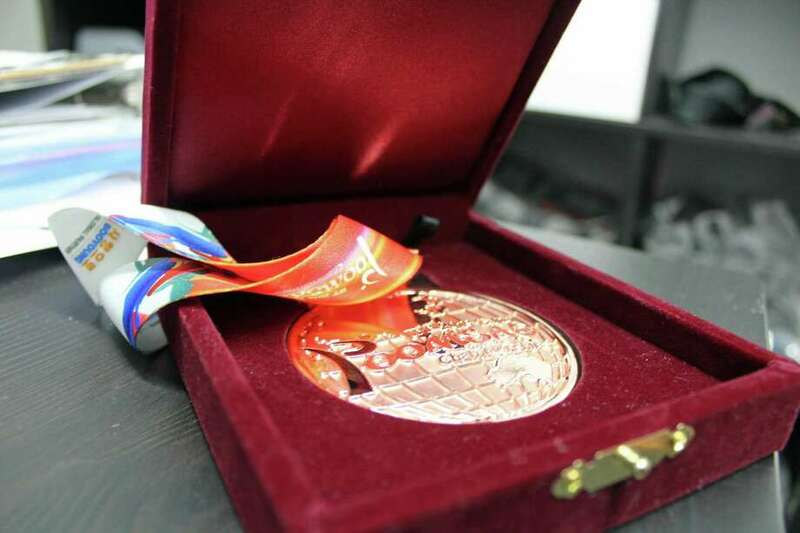 Ha’s bronze medal was one of the nine total bronzes that Team USA brought back from the Nov.15-18 championships, according to the World Taekwondo Poomsae Championships results page. The championships in Tai Pei gave Ha a taste of competing on the world’s stage, something he has repeatedly strived for. The road to worlds is full of hurdles. Participants must qualify as top three in their state, then make top eight at nationals. Only one from those top eight can qualify for a spot at worlds. The world championships take place every two years, alternating with the Pan-American championships that also occur biennially. Ha’s goal for next year is to compete at the Pan American championships in Peru. Even though he just got back, Ha has already set his eyes on the 2020 world championships that will take place in Denmark. “I have the U.S. Open on Feb. 27 in Las Vegas where people from other countries will come, and April 6 we have state championships,” Ha said.